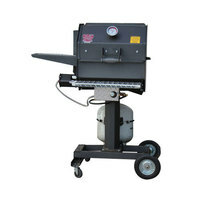 Portable outdoor grills are perfect for anyone tailgating or catering an event that wants to offer delicious meals without having to worry about the hassle of moving a grill. 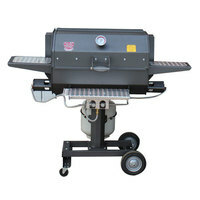 Most of our grills have removable legs that make them easy to store. Some of our mobile outdoor grills also come with slide action grates that can be adjusted to different heights for optimal control over cooking temperatures. 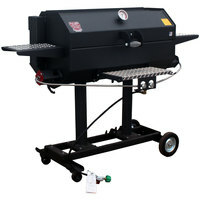 Also make sure to check out other great items from Backyard Pro, Bakers Pride, Crown Verity, MagiKitch'n, Optimal Automatics and R & V Works. 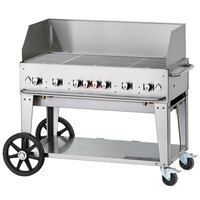 Whether you’re serving up barbecue on your restaurant’s deck or roasting rotisserie chicken at your catered event, commercial outdoor grills are an essential warm-weather item for your business. 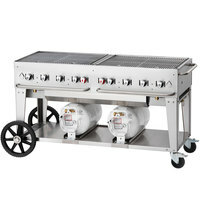 These outdoor grills are built to be transported to and from events or onto your cafe’s patio with ease, thanks to their mobile design. 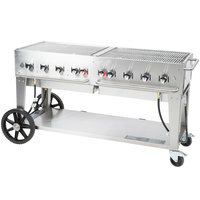 We offer a number of different types of grills to best suit your needs, from griddles with flat surfaces for cooking pancakes and eggs to smoker grills that are perfect for producing tender brisket and ribs. 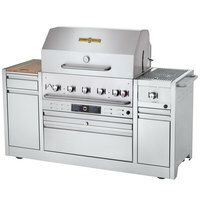 Choose the right power type for your business, as well as the ideal size to fit either a high- or low-volume kitchen. 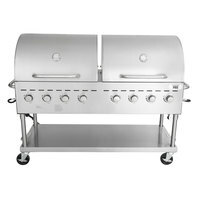 Built-in commercial grills create a seamless display on your deck or patio because they are placed directly into your countertop cutout. 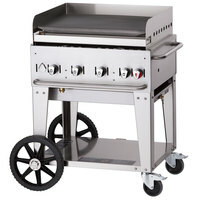 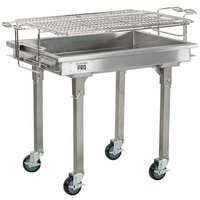 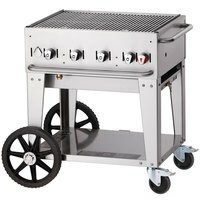 Portable outdoor grills are equipped with casters for added mobility between your kitchen and catered events or patio space. 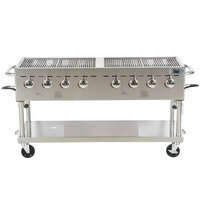 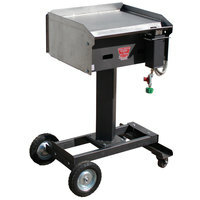 These heavy-duty outdoor grills are designed to be towed to your next tailgating event or high-volume catering job. 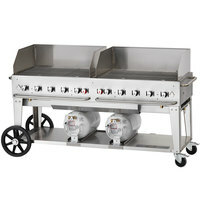 Broilers burn overhead to reflect heat down onto the food below. 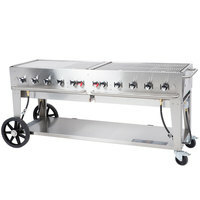 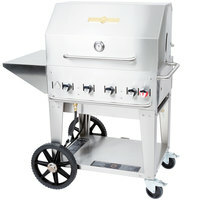 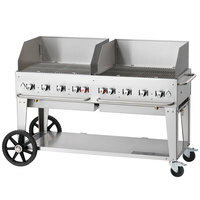 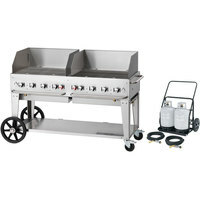 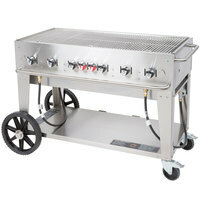 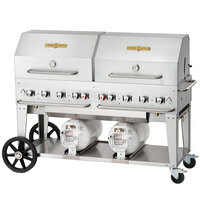 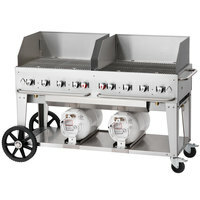 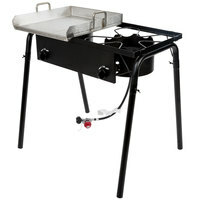 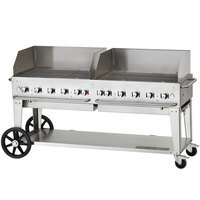 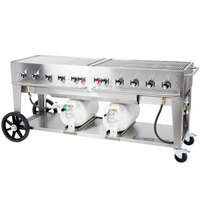 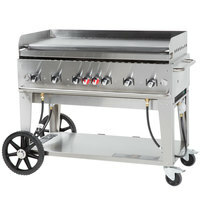 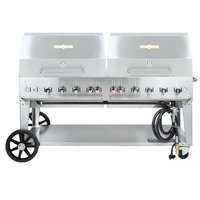 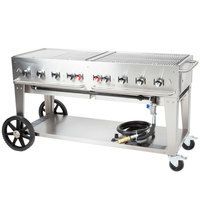 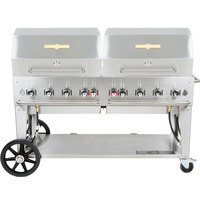 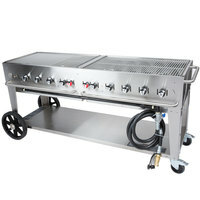 These grills are equipped to grill meat and fry sides at once. 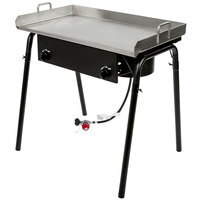 These have a flat surface ideal for cooking eggs and pancakes. 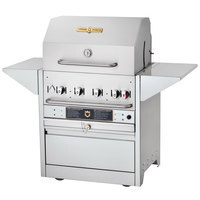 Cook up meats, vegetables, and kabobs on these classic grills. 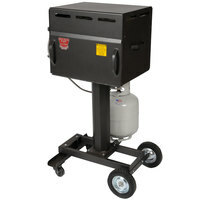 These are built for frequent transportation to and from events. 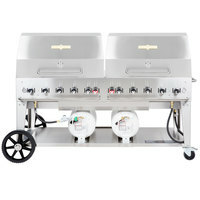 Infuse flavor by slow cooking with these smoker grills. 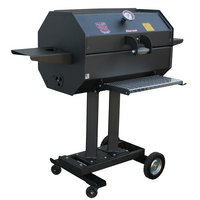 Charcoal grills reach higher temperatures than other heat sources while bringing natural, smoky flavors into your proteins. 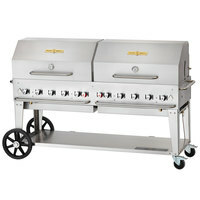 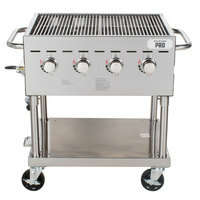 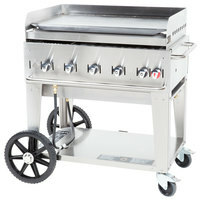 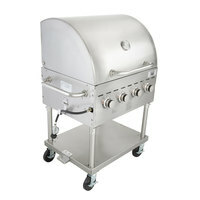 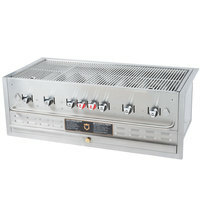 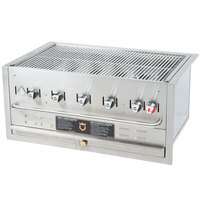 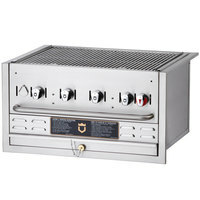 Liquid propane grills are ideal for use in remote areas or at outdoor events thanks to their portability. 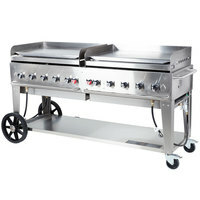 Natural gas is a cost-effective power type for grills that eliminates the worry of running out fuel during dinner service. 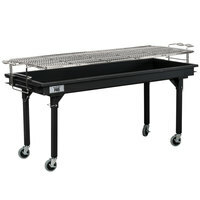 These grills are ideal for smaller gatherings that require less food at once, such as picnics, office parties, or tailgating events. 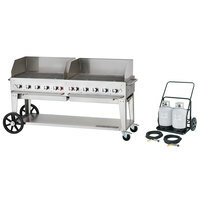 Produce enough food for small or medium-sized events such as barbecues on your restaurant’s patio or mid-volume concession stands. 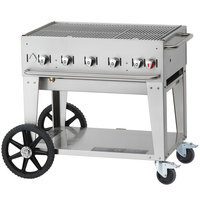 These high production grills are designed for maximum turnout, which makes them great for large catered events, competitions, and fair grounds. 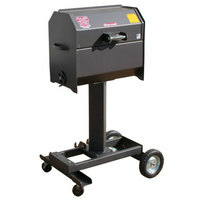 Give yourself extra room to work with an add-on shelf. 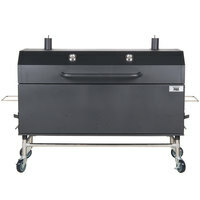 Warm hot dog and hamburger buns on your grill with a bun rack. 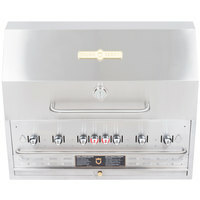 A dome cover traps heat inside for a more even cook on proteins. 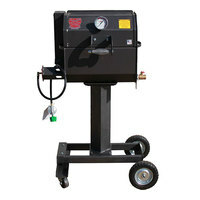 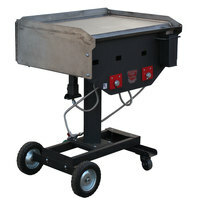 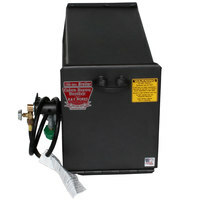 Easily transport heavy fuel tanks around with the help of a caddy. 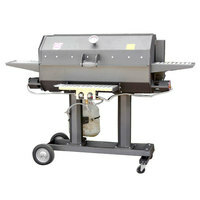 Protect your grill from the elements with an outdoor cover. 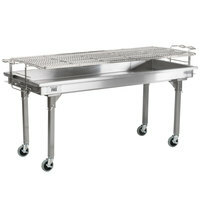 Removable legs allow for more compact storage between uses. 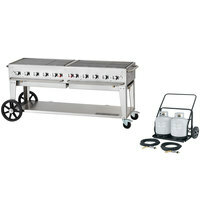 Wind guards reduce heat loss and allow for even cooking. 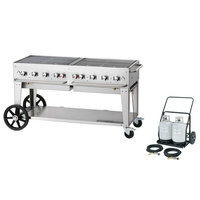 If you’re looking for a better way to cater outdoor events, you’ve come to the right place. 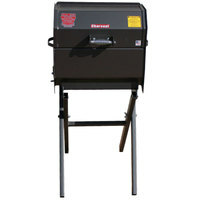 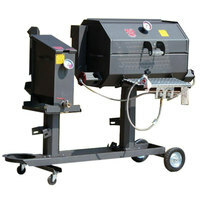 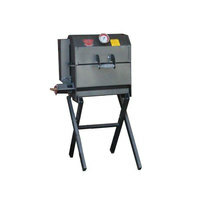 Our selection of portable outdoor grills makes it easy to move your grill from one location to the other. 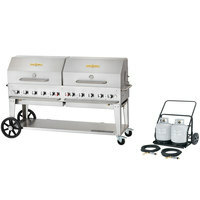 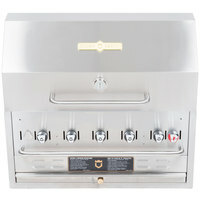 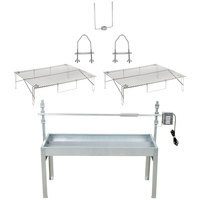 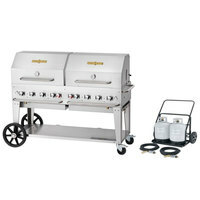 Some options are even NSF Listed, ensuring your new grill is easy to clean and maintain. 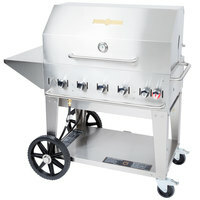 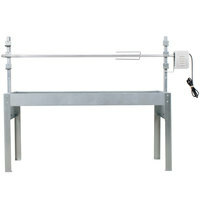 Check out our grilling and cooking accessories, grill attachments, and grill fuel accessories to keep your grill up and running. 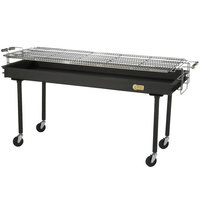 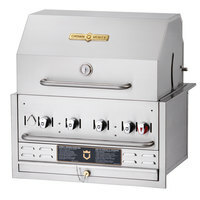 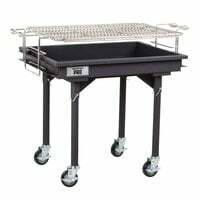 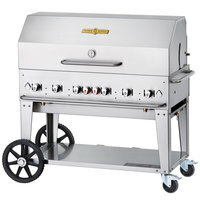 If you're wondering where to buy commercial outdoor grills, we have a large selection of commercial outdoor grills for sale at the lowest prices.